SF MOMA has more than just the green that leads up to it now. Monday the plan to trade Fire Station No. 1 on Howard Street in San Francisco for a new replacement on Folsom Street had no problem being approved by the board's Land Use and Economic Development Committee. 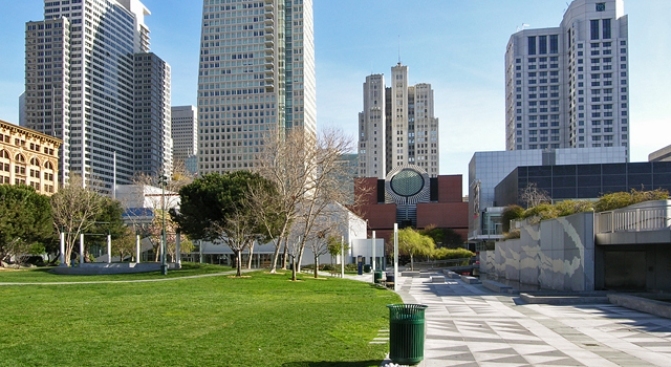 As you may recall, San Francisco will give the SFMOMA Fire Station No. 1 and part of Hunt Alley for their museum expansion in exchange for $10 Million and a bigger and better state-of-the-art fire station replacement (valued at $6M) that will be located at 935 Folsom, at no cost to the City. "Approximately 75 percent of [Fire Station 1's] call volume is focused in the Tenderloin and the Sixth Street corridor," Fire Department Deputy Chief of Administration Monica Fields said during the hearing. "Relocating to this location would decrease our response times." When news of the proposed fire station relocation first came out, there were concerns from residents about having one of the busiest fire stations in the country moving into their neighborhood. However, no one voiced any negative comments during yesterday's hearing. "When this new station opens, I think the neighbors will come to understand that this is actually a really good thing for their neighborhood and a good thing for the City." Mayor Gavin Newsom said before the meeting. If everything goes according to plan (including several required approvals), the new station will open in 2012 and the art museum's new wing in 2015.